When the subject is of wedding DJs then the first thing which comes to mind is the Dj playing soothing music tracks. 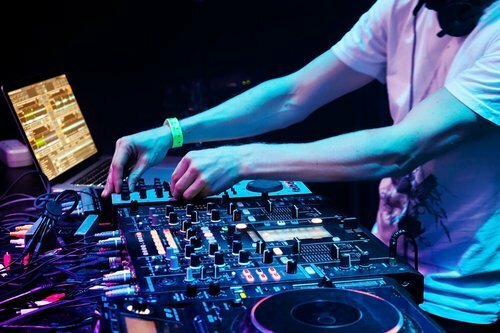 The task of a Dj is entertaining and encouraging his guests and makes their mood light with great music. Your motive is also making your friends and family dance to the last step by the tracks played by the Dj. A wedding Dj becomes the best wedding Dj by taking full responsibility of giving entertainment to people at every event he performs. This consists of the provision of services that you may not know. There are cases when a bride and groom belong to different and ethnic backgrounds. Majority of the guests speak more than two languages in the event. In that case, the Dj will have to understand their cultural expertise. Hence the Dj has to communicate effectively along with most of the guests. Wedding couples love to share their videos and photos showing their happier moments together but are still shy to show it. A professional Dj has the ability to put humor, intelligence, and charm to those photos and videos of the bride and groom. The wedding Djs give a narration based on a short script. Photo booths are present at weddings so that the guests can take their selfies, photos, and videos. However, on reception parties, the pictures being taken on these photo booths are hooked up on a video screen. It gets scrolled across and the guests enjoy it with background music played by the Dj. Lighting is also a special service offered by wedding DJs. Uplighting is a kind of lighting that is used for enhancing an event. You may not include this service on the wedding DJ cost plan, but without uplighting, the event will look very formal. The Dj uplifts the ambiance and mood with mesmerizing music complementing the overall décor. However, these services may be a bit difficult to obtain but you can easily get then by consulting a reputed company. Search for renowned companies offering professional wedding DJs at affordable rates. Focus on the search results and do good research on the previous feedback given by clients. Choose the right wedding Dj and transform your big day into a memorable and special day.